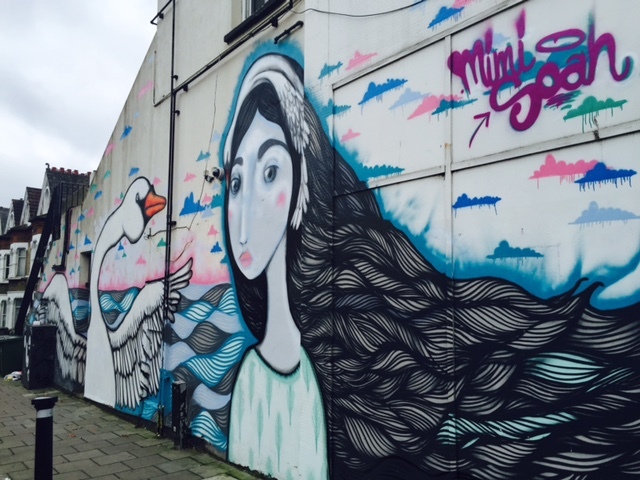 My big brother has just moved to Honor Oar Park in South London, so today I went to visit and check out the local area. 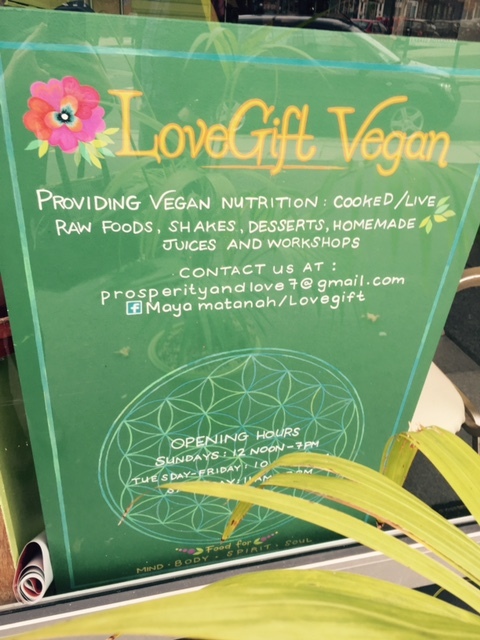 I was happy to find plenty of vegan options, and even a vegan raw food cafe. 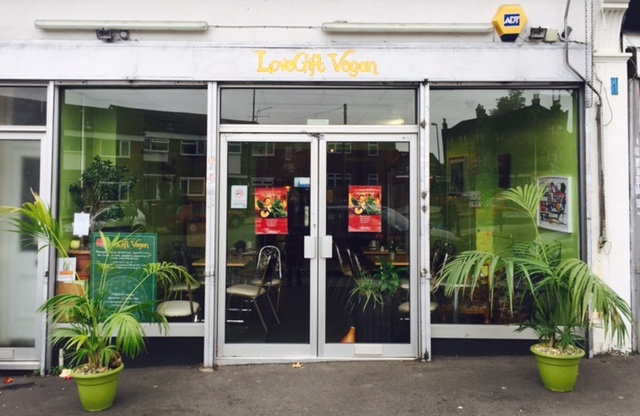 Just a few minutes walk from Honor Oak overground station, LoveGift Vegan Cafe is a delightful vegan restaurant serving a selection of caribbean cuisine, cakes, desserts, and juices, all at a good price. 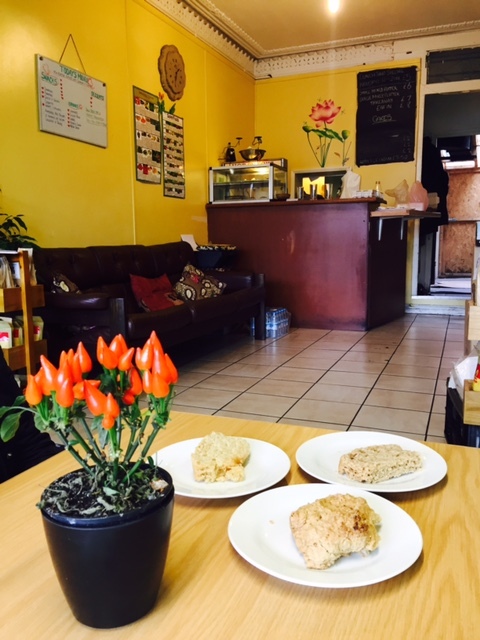 It’s very unique and the staff and decoration give off a friendly, happy vibe. Ideal for those that are incorporating raw food into their diet, or just those who enjoy a good cake. The home made cakes are definitely worth a try. I had a coconut sponge and it was delicious!